Hi everyone! It's Kim from Elementary Antics. 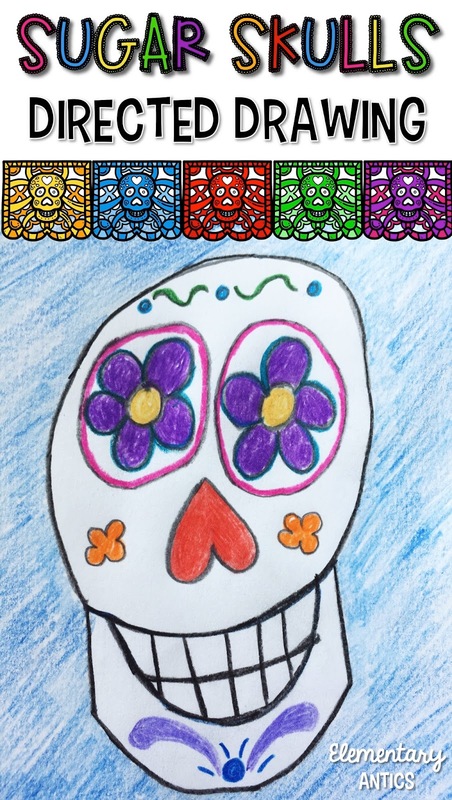 Today I'm going to be telling you a little about how I have celebrated Day of the Dead in my classroom in the past. 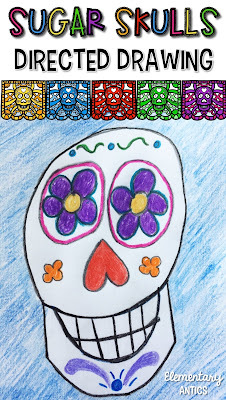 Don't be afraid of el Dia de los Muertos (the Day of the Dead)- this is a happy holiday! In years past, during our report writing genre I chose to study the country of Mexico. My class learned so much about the country to become experts for their reports. One aspect we studied and really enjoyed were the holidays, particularly Day of the Dead. This unique holiday (celebrated November 1 &2) is a celebration to honor and remember people's friends and loved ones who have died. There are many wonderful traditions and symbols of the holiday that I think your students would really dig! Along, with learning all about the holiday we've made an altar in our classroom to honor our loved ones that have passed, made paper mache sugar skulls and made paper marigolds and papel picado. 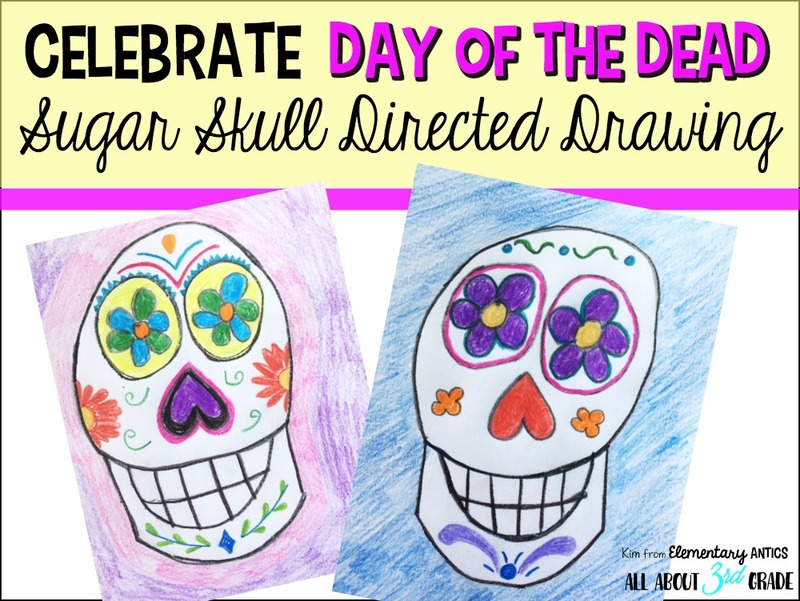 Today I have an awesome Sugar Skull Directed Drawing freebie that you can use with your students. Directed drawings are not only engaging, but they are a great exercise for listening and following directions! (Check out this awesome blog, Artventurous for some more super cute directed drawings, or make up your own.) You will find the step by step directions to use with your students in my TpT store or you can click the photo below.